Swedish scientist Svante Arrhenius was first to hypothesize, in 1896, that carbon released from the earth into the atmosphere by burning fossil fuels, if continued unchecked, would eventually saturate the gaseous membrane enveloping the planet, trapping heat radiating from the sun. This would gradually cause the surface of the earth to warm and shift the planet’s climate system. We have to move down the political food chain and scale solutions laterally, from the expansive bottom, rather than the narrow peak — and do so now. The UN Intergovernmental Panel on Climate Change (IPCC) 2018 Special Report is unequivocal: our window of opportunity for limiting extreme impacts of a warming planet will soon be lost. Once released, carbon lingers in the atmosphere, dissipating at differing rates depending on uptake (oceans and forests are immense carbon sinks). As these carbon reservoirs either saturate (the oceans) or diminish (through deforestation), carbon uptake slows (like water blocked by a clogged drain). 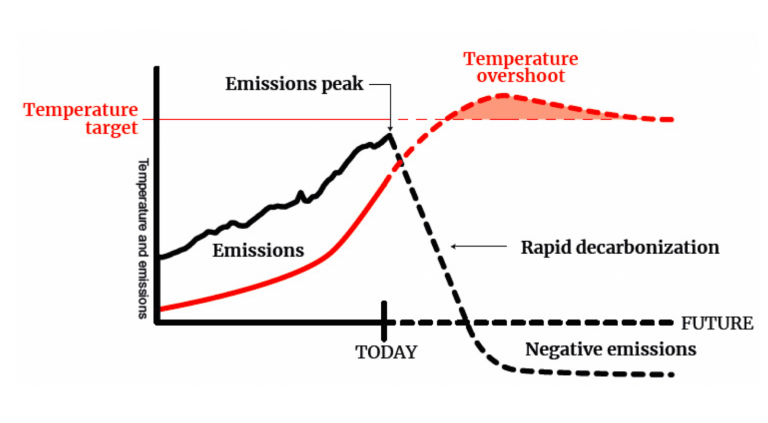 As carbon continues flowing into the atmosphere with the clogged drain of tapped-out carbon reservoirs, oversaturation amplifies the climate impact (warming) while extending the life cycle of carbon molecules (they have nowhere to go). There’s a 1.5-degree-celsius warming threshold we, as a planetary community, must not exceed if our goal is to continue the project of human life on earth. Since Arrhenius first proposed a connection of fossil fuel combustion, carbon emissions, and climate change, the planet has warmed 1 degree. Without coordinated course corrections, scaling for maximum impact, we will pass the 1.5-degree threshold between 2030 and 2052. Progressive brownfield regeneration heals polluted landscapes that, in turn, deepen earth’s capacity for carbon storage while offering low-cost platforms for reducing emissions at a system level through re-localizing economies, smart mobility, and low-carbon building technologies. Excerpt from Restoring the Quality of Our Environment: Report of The Environmental Pollution Panel, President’s Science Advisory Committee, The White House, November 1965, p. 127.